And The eBay Course Beta Testers Are In! Super excited about my eBay course launch, I first announced it on this blog and on Periscope yesterday and the response was great. I opened the doors to beta testers (only 5 testers) during my Scope yesterday and within an hour I got 5 people in, I did charge $200 plus the work and feedback they will help me with. 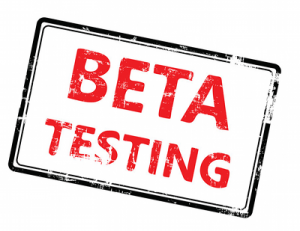 By 9pm last night, and only 6 hours after I received another 9 requests, unfortunately I am only allowing 5 beta testers (which I think is sufficient enough), so the extra people would be joining the full program once I launch on Tuesday. We already started working on testing the interface, and so far (thankfully) no issues, I even got 2 great comments on how awesome it looks. Tomorrow, we will test the private group. I’ll keep you updated throughout the launch about everything. And still supper excited.